The closest train station is only a five minute walk from our apartment and the closest airport is only an hour away. Getting through security at a Japanese airport is less of a pain than an American one, so you don’t have to show up at the airport as early, even if you’re flying internationally. So, if your international flight takes off at 7, and the first train out of our station leaves at 5, you could theoretically get on the first train and still make your flight. However, for our trip to Chengdu and Beijing, China, for our fifth wedding anniversary, we decided that leaving so early in the morning but late in the schedule would make for a very stressful few hours and instead chose to use this as an opportunity to stay in a capsule hotel - a very Japanese invention where “rooms” are little more than pods the size of the bed inside. It’s very efficient! And, since you’re only there for the night and it’s meant to be functional more than luxurious, why pay for space you don’t really need? 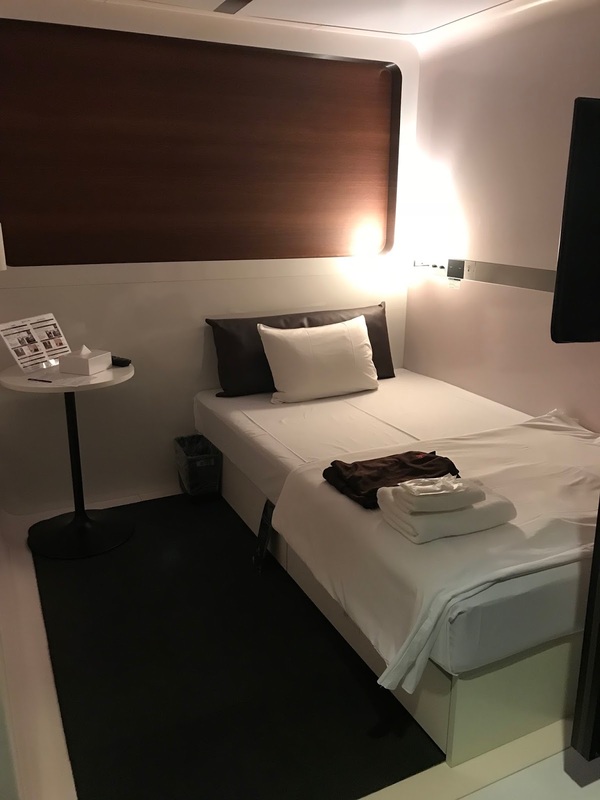 Yep, that's the entire space - we paid a little extra for me to stay in "business class"
Fortunately for us, there was such a hotel right in the Haneda airport. So, in the morning, it took us about ten minutes to get from the hotel to the check in line in another terminal. So much better than the stressful hour on the train! 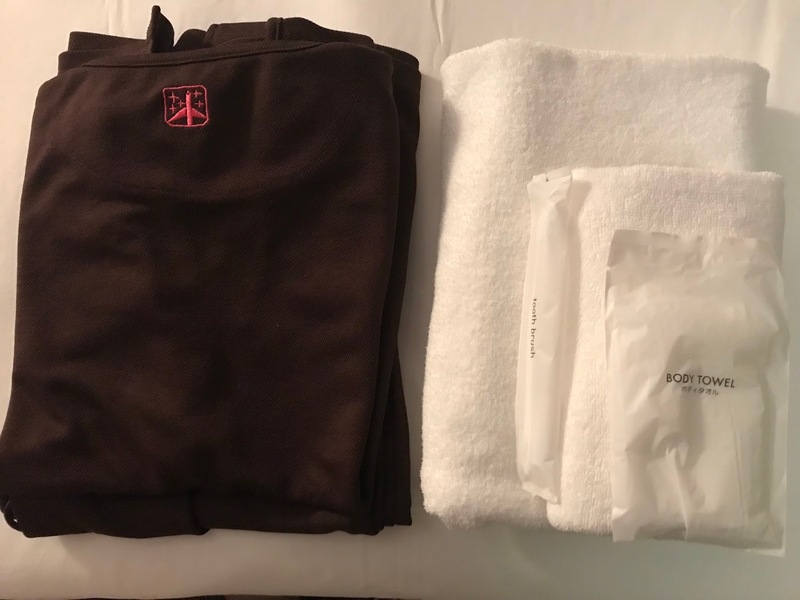 In order to make early morning flights from London-Stansted, Glasgow (maybe it was Dublin), and LaGuardia Airports, I have slept on the floor of the check-in area, surrounded by strangers. This is actually a thing at Stansted - the floor was covered in bodies. LaGuardia not so much. I’ve also stayed in hostels - dorm like lodgings with bunk beds and potential strangers in your non-private room. This capsule hotel was officially better than any of these. 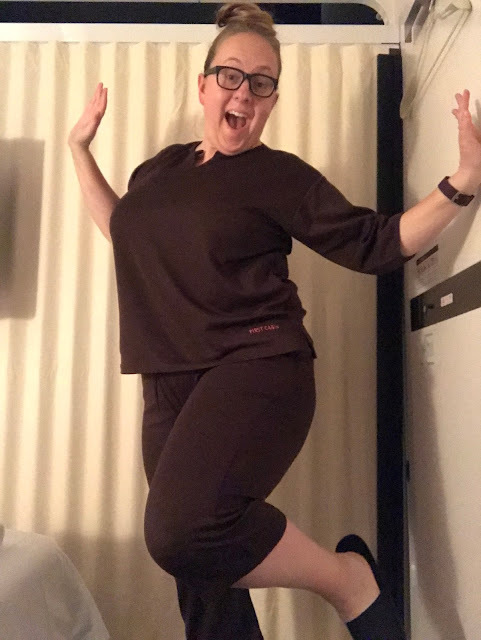 I had my own bed with a pullover curtain door that left a gap at the bottom enough to let light in (we sleep in pitch black at home), the mattress was hard, and it was pretty noisy with people shuffling by all night, but it was still better than any hostel I’ve ever stayed in. After I changed into my cabin wear, I went exploring. 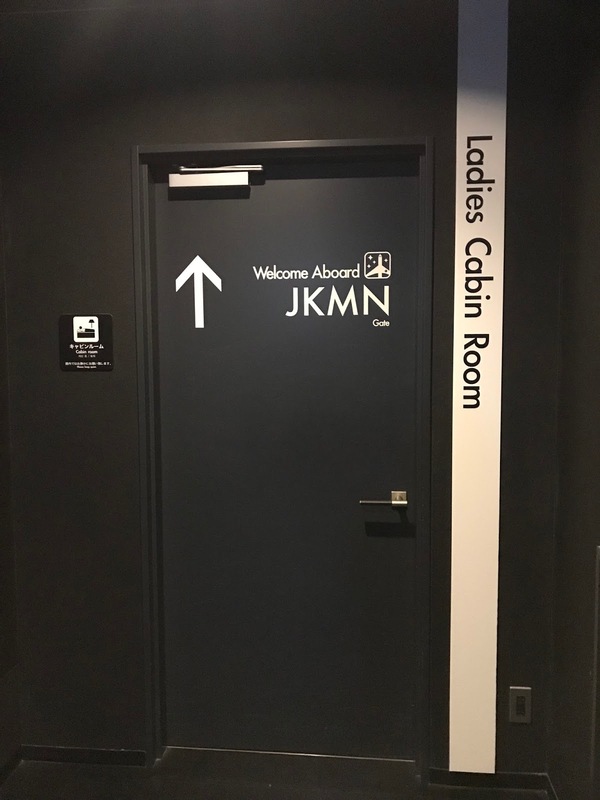 I found the ladies lounge, which had a vending machine for face creams and another for drinks, some chairs, and a coin operated massage chair - 100 yen for 10 minutes. I spotted a dropped 100 yen coin just nearby and I indulged in that chair massage, even if the settings were in Japanese and I only kind of figured them out. The communal bathroom was a sento - like an onsen, but the bath is not from natural hot springs. Otherwise the set up is the same. So, I also enjoyed a brief soak to relax before bed. Ultimately, I didn’t sleep super well. Too noisy, too light, too travel anxious - suddenly got scared at 12:30am that we were actually flying out of the other airport in Tokyo, despite my calendar saying Haneda, but Blake had our official travel documents and was hopefully sleeping by that point, so there was nothing I could do. But I did sleep some and then napped a lot on the planes during the day. Still, better than the alternatives. Our flights were uneventful. The panda in the safety demonstration video for Air China was super adorable and our first meal in China was Burger King because we needed food during our layover in Beijing and that’s what we found first. But everything was on time, customs went well, and we were able to meet up with our friends in Chengdu easily! 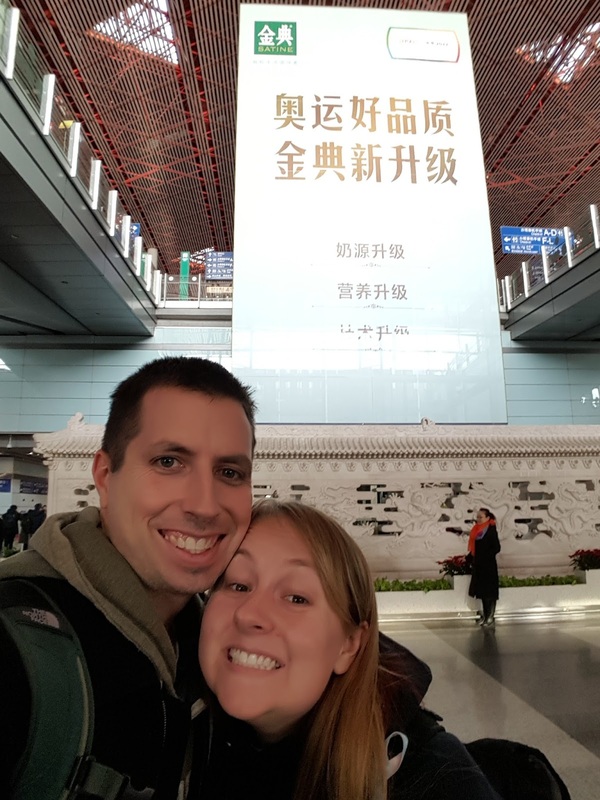 An excellent start to our China adventure! 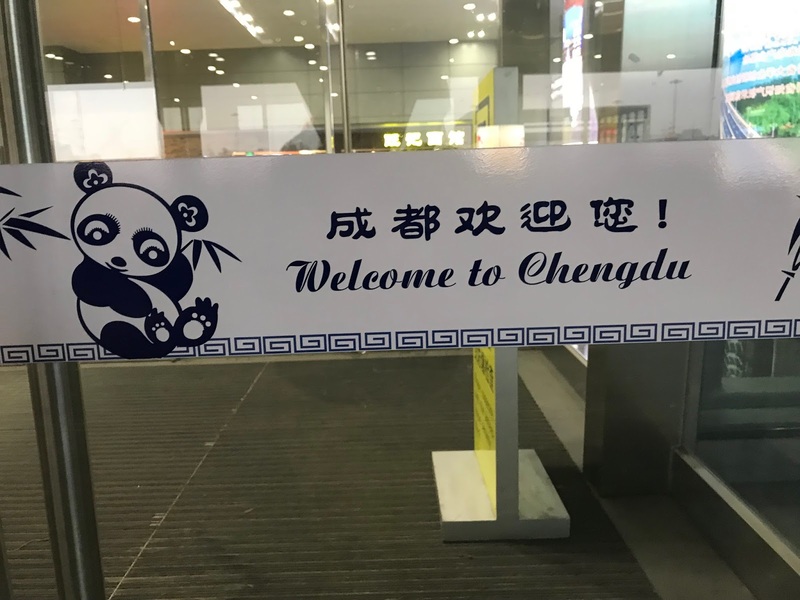 Next up, we begin the Chengdu leg of our journey and PANDAS!!! Thank you, I feel very welcome! I'm thinking all airports could use something like that, at least the major ones. Brett had to sleep on the floor of the Denver airport this summer because of a missed connection and that would've been much preferable. I agree! I think security would be a bigger in issue in other countries (sadly, including the US). Here, I had a small, lockable drawer under my bed, but otherwise everything (including myself) was out and accessible without a key. Not as big of a problem in Japan, but I can see it being more challenging elsewhere. 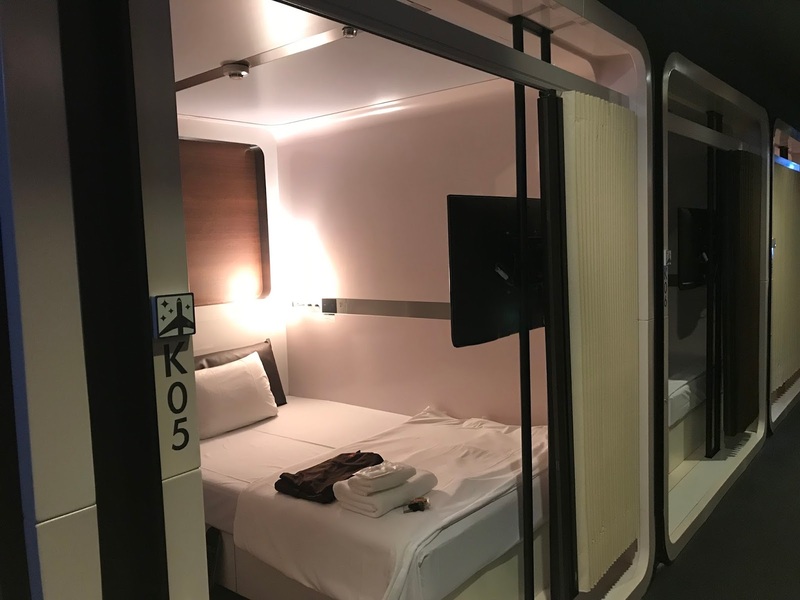 Some capsule hotels may have more secure accommodations. I think it's an Asia thing. 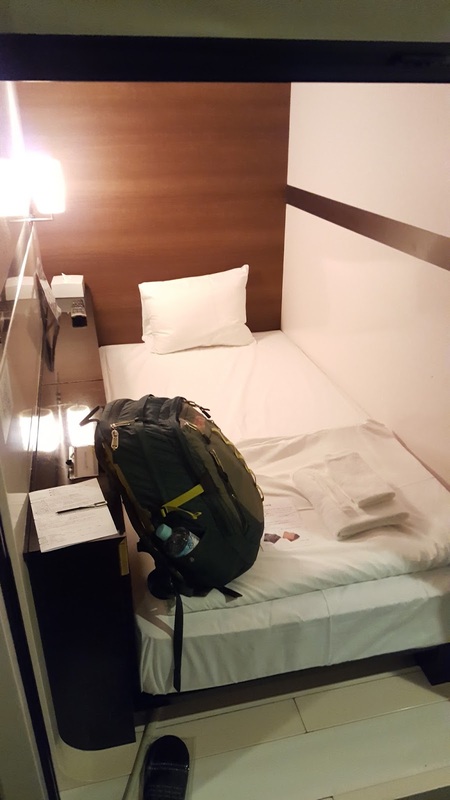 Now that I've slept on hotel beds in Japan, Korea, and China, they're all a little harder than I'd like.